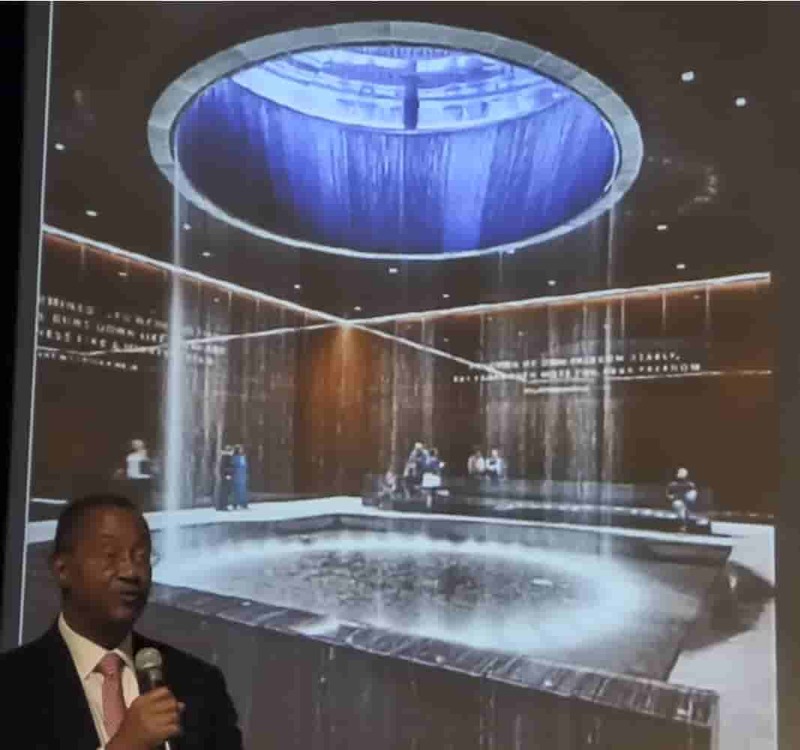 As Senior Manager of the Office of External Affairs at the Smithsonian National Museum of African American History and Culture (NMAAHC), John Franklin is well placed to represent the museum abroad and welcome international audiences to visit. 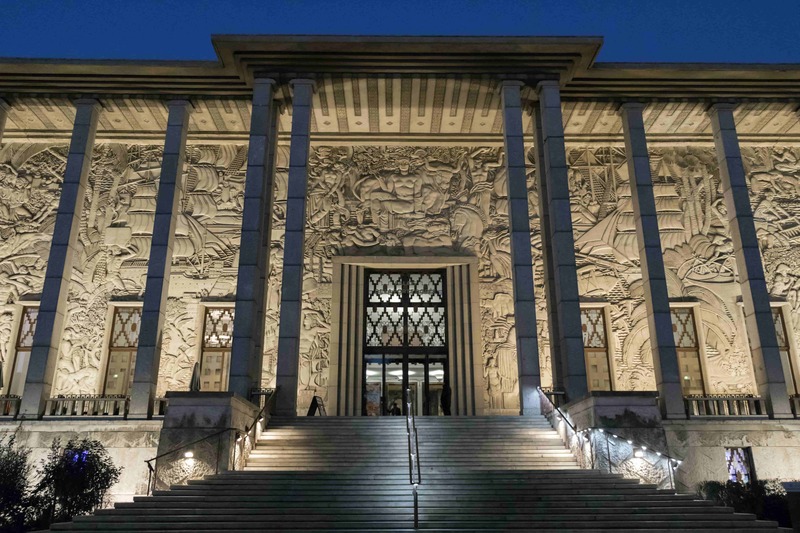 And that’s precisely what he did at France’s Museum of Immigration History at the Palais de la Porte Dorée earlier this week. 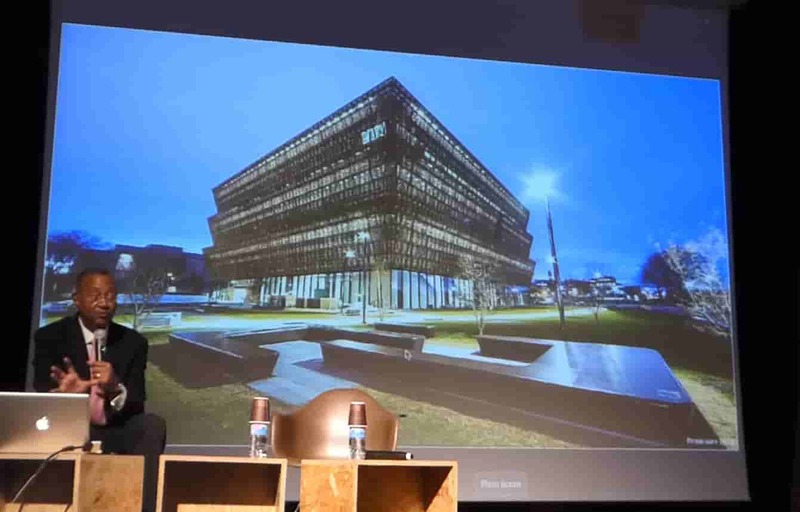 Franklin presented NMAAHC before an enraptured audience on Monday, November 6, in the Philippe Dewitte Auditorium. 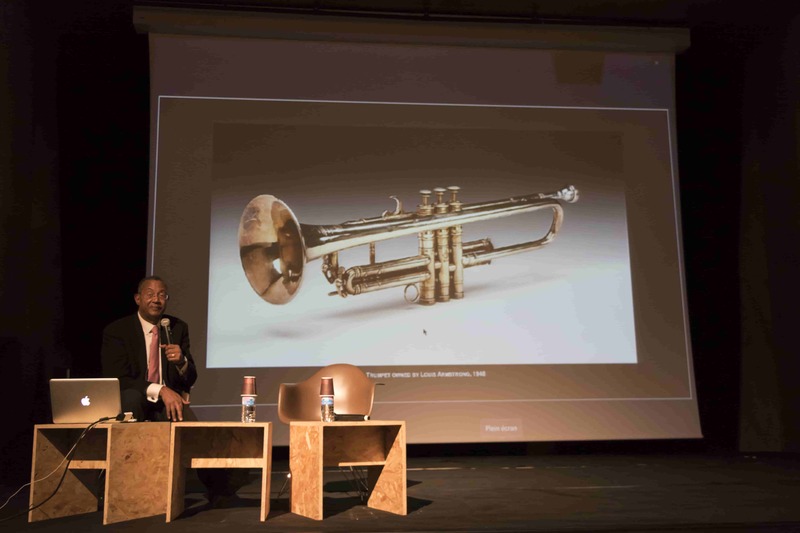 He addressed the attendees in French, recounting the story of the museum from its conception to the present. 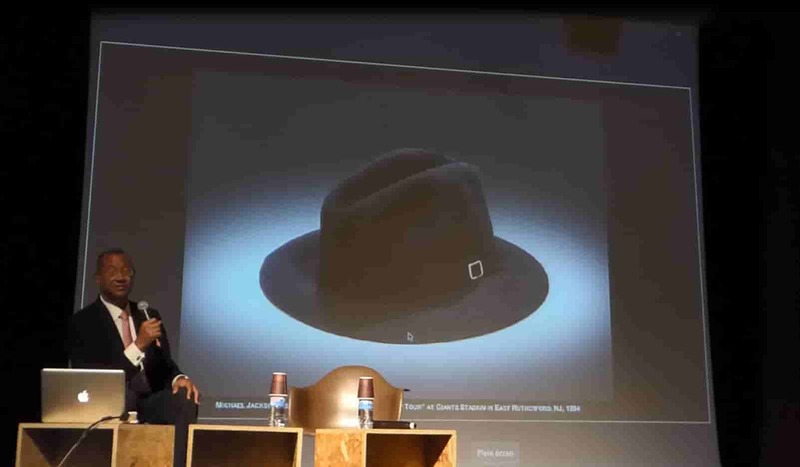 One of the things he emphasized during the first few minutes of his talk is how visitors to the museum are inspired to interact with each other while they observe the collections. He said one of the goals of the museum is to foster such communication. Topics ranged from the history of the land on which the museum is built to anecdotes about how the museum obtained its collection. Franklin shared one particularly amusing story about how the museum lost the bid for Michael Jackson’s famous white rhinestone glove to a casino in Macau, China! They were successful in purchasing a hat and a few garments that belonged to the King of Pop. He also told a story about how Winton Marsalis played Louis Armstrong’s trumpet at the installation ceremony of the Smithsonian’s newest Secretary, David K. Skorton. 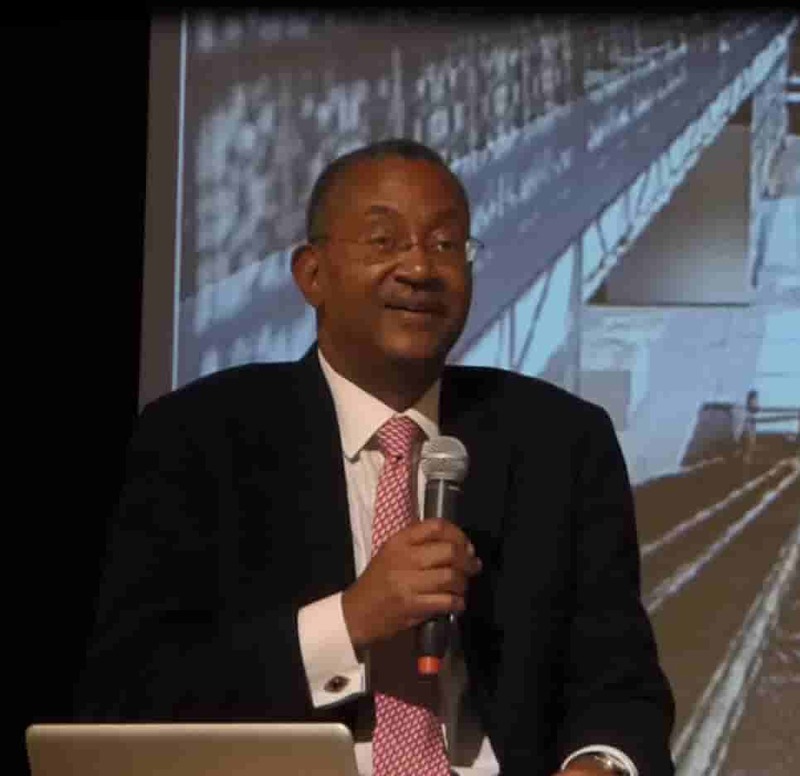 During one poignant moment during his presentation, Franklin described how the museum’s Contemplative Court – an area devoted to quiet reflection for museum goers - was named after his father, John Hope Franklin. 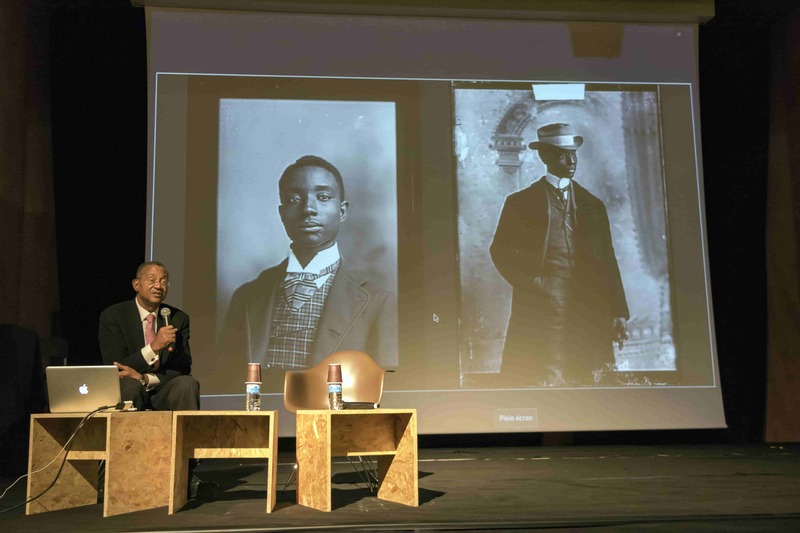 Franklin finished his presentation by showing two images of photos of his paternal grandfather, Buck Colbert Franklin. They represent glass negatives from a photo shoot done in Nashville, TN. The negatives were discovered by a man who is reviewing thousands of glass negatives in the state archives of Tennessee. Franklin’s grandfather was the first member of his family to go to college and he was forced to enroll at Roger Williams University in Nashville (an historically black institution) because he couldn't attend the University of Oklahoma. He became an attorney and wrote an autobiography, which Franklin and his father published in 1997. Franklin told the audience that he had never seen these photos of his grandfather before and that they do not appear in the autobiography. They were offered to the museum as part of the call to the public to contribute items for its collection. 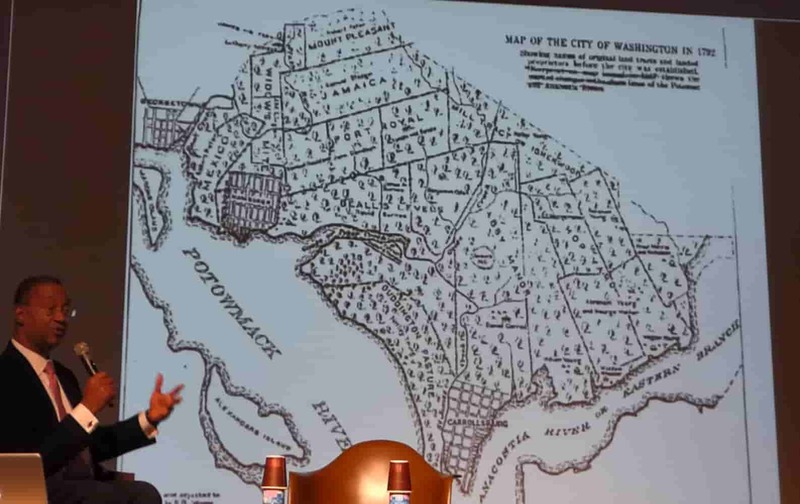 He said images such as these permit the museum to educate the public about the period of African-American history between the era of slavery and recent times that has been previously unknown. The National Museum of African American History and Culture is the 19th museum of the Smithsonian Institution. It has already received over 3 million visitors. The average time for a visit is 4-6 hours. Entry is free but planning days to weeks in advance is essential for gaining access.